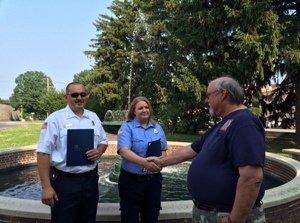 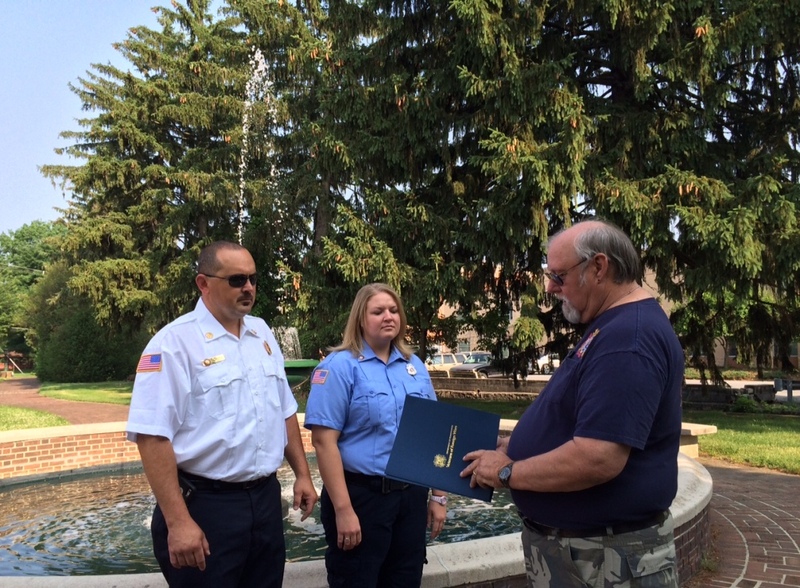 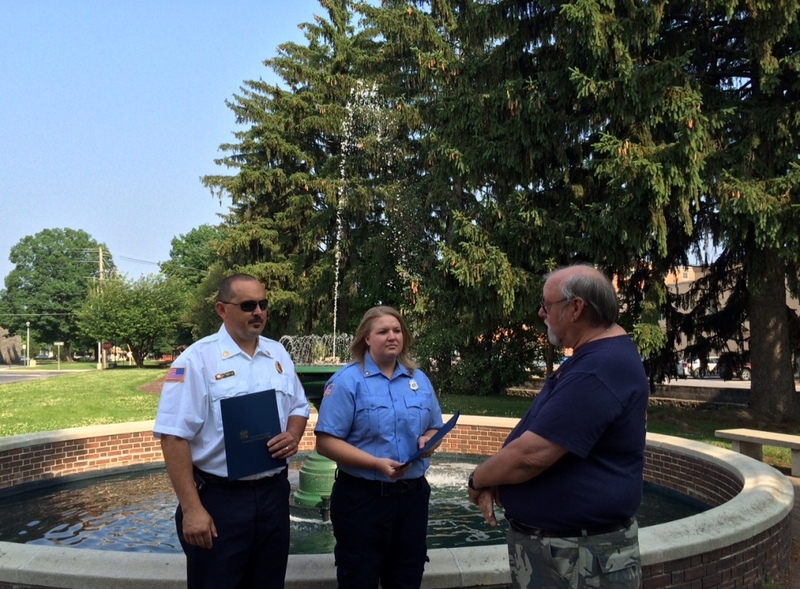 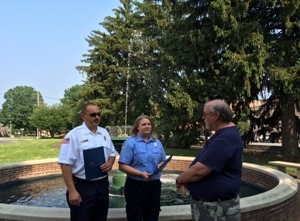 Commander Thomas Holden of Chambersburg’s Veterans of Foreign Wars Charles Nitterhouse Post 1599 presented an award to two CFD volunteers. Deputy Chief Norman C. Reitz received the “Firefighter Award” in recognition and praise for guardianship of life and property. 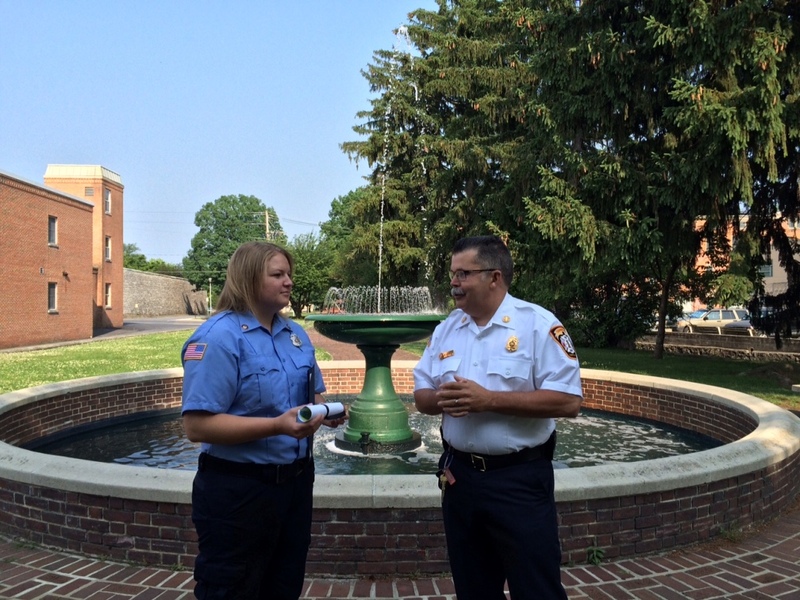 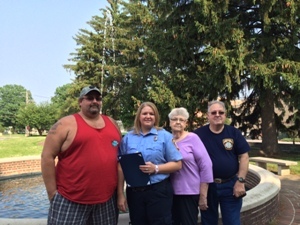 Firefighter/EMT Katelyn R. Miley received the “Emergency Medical Technician Award” in a special recognition of exemplary service to humanity by administering emergency medical assistance. 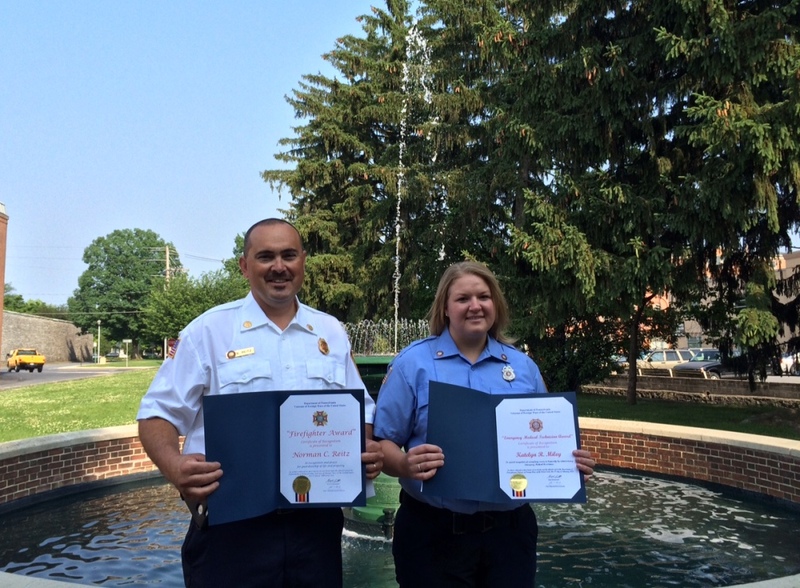 Chief Leonhard offered additional congratulations and presented Ms. Miley with a CFD Certificate of Achievement for credit and honor for emergency medical services delivered to area residents. 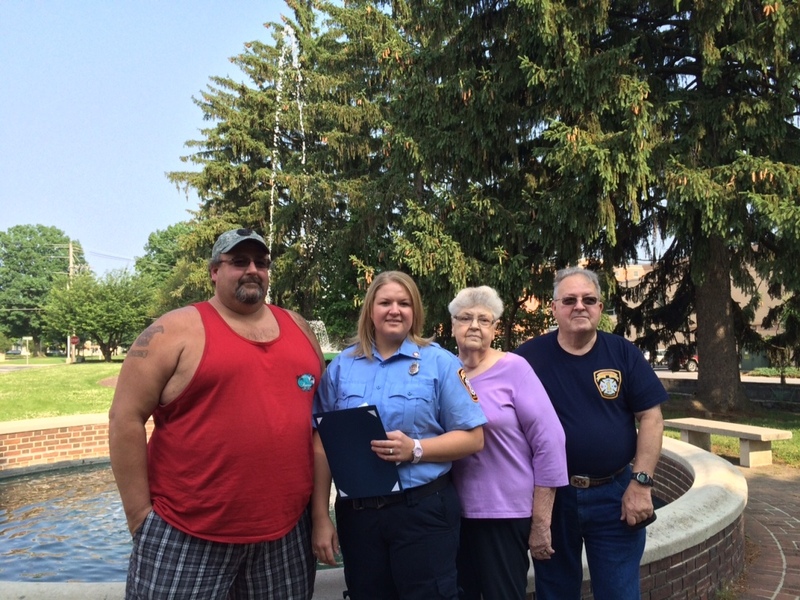 Ms. Miley received laudatory support from several family members as well. Congratulations to both for outstanding service.